R.L. 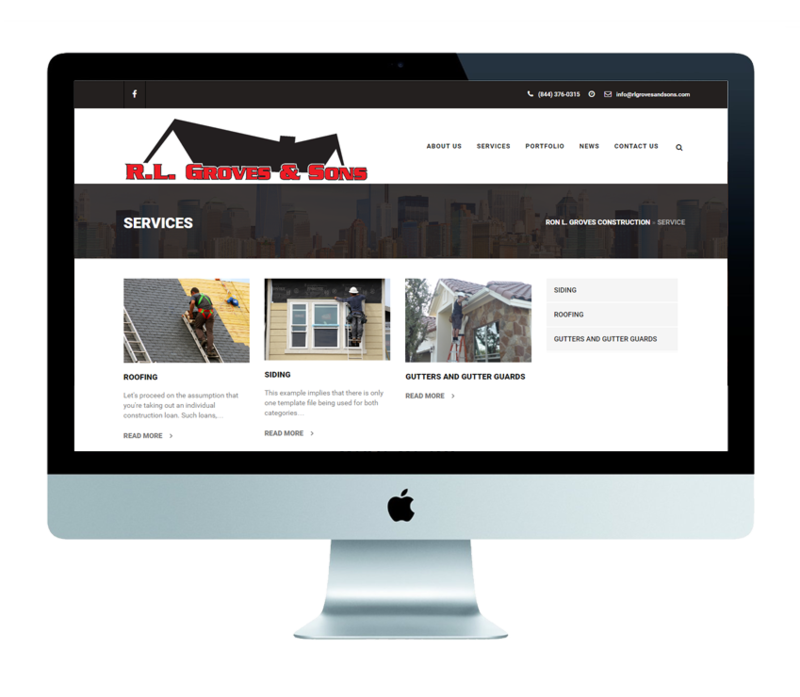 Groves & Sons came to us for an affordable website to help market their new quality roofing & siding company. Their site needed to highlight high res and imagery of their work to showcase for potential clients. Not only is it responsive, but they started immediately receiving inquiries regarding their services from local homeowners. Ron L. Groves & Sons was immediately hitting the ground running creating their business, and needed a quick and affordable solution to get their online presence set up. We gave them a way to highlight their work, services, and the abiltity to easily update their website with an affordable payment option.